After our big 4x4 journey through Canyonlands, we grabbed some burritos for lunch and then took it easy for a few hours. 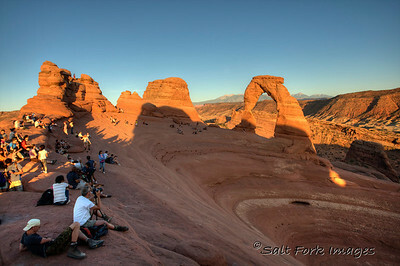 About 6pm we headed back into Arches to do the Delicate Arch hike. 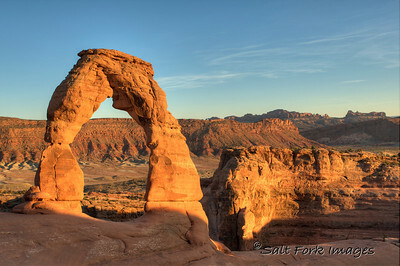 Our goal was to get there during the sweet light before sunset. Apparently about 75 other people had the same goal. 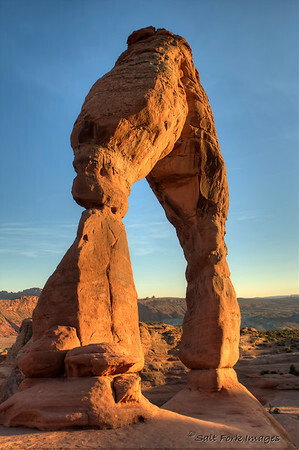 I did manage to get a few cool shots of the iconic symbol of Utah. 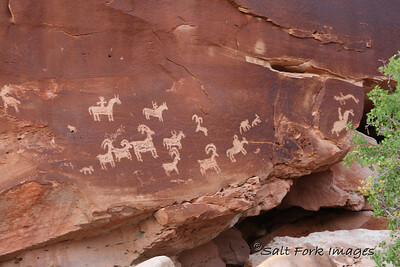 And on the hike back I got to see some Ute Indian Petroglyphs. These pictures are dated somewhere between 1650 and 1850. It's my understanding that anything after 1850 is just plain old graffiti. Click on the photos to go to the enlargement and then click the enlargement to go see all the photos in the gallery.